Like many Supreme Audit Institutions (SAIs), SAI Gabon has been tasked to examine and ensure the correct use of public resources within the Gabonese Republic, serving as a bulwark for good governance and fighting against corruption in the public sector. This is much easier said than done, however – especially when a SAI is not well equipped to carry out this task. SAIs need much more than a government mandate do to their job. They need funds, facilities, trained and sufficient staff, as well as receptive audiences. In 2014, several of these critical factors were missing for SAI Gabon, making the execution of their mandate near impossible. Over the past four years, however, thanks to the collaborative efforts of international donors, domestic stakeholders, the INTOSAI community, and most importantly, the SAI staff, SAI Gabon has successfully overcome many of these challenges, ultimately producing audit reports that have and continue to have a clear impact on national politics and public policy. 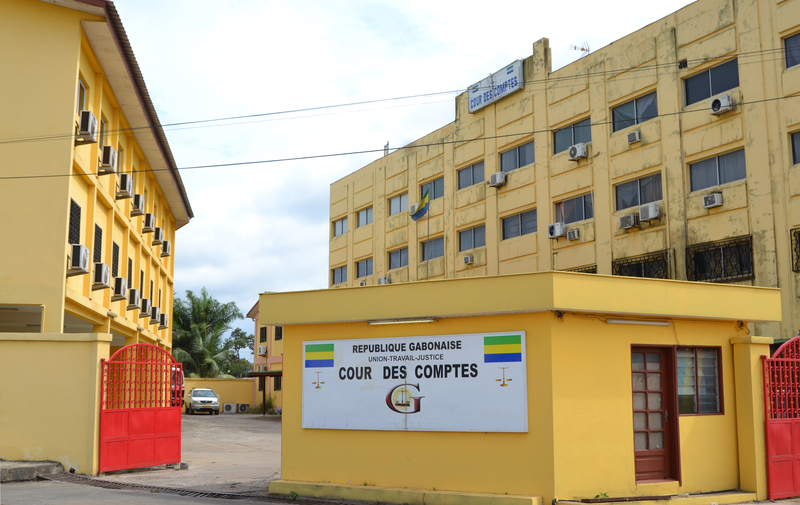 SAI Gabon is a court model SAI, and in 2014 the organization had no focus on performance audit. As a result, despite the mandate to examine the use of public funds, the SAI had no mechanism to ensure that Gabonese taxpayers’ money was used efficiently to the benefit of citizens. The introduction of programme-based budgeting aggravated this challenge. While the auditors at SAI Gabon were well-trained due to the continuous work of CREFIAF, the SAI’s structure did not provide an appropriate environment for the implementation of that knowledge. The SAI’s legal framework did not guarantee secure funding and the work schedule of the auditors did not allow time for performance auditing. Beyond the internal challenges, externally the SAI was not well-known in the country. Even Gabonese parliamentarians only had a basic understanding of the institution’s role and mandate. Even if the structural hurdles for performance auditing could be overcome, raising awareness of the SAI’s role was crucial for ensuring the issued reports would be effective. Confronted with its challenges, SAI Gabon reach out for international support by submitting a concept note to the Global Call for Proposals program, hosted by the INTOSAI-Donor Cooperation. After working with SAI Gabon to refine the proposal to be as attractive as possible to donors, IDC was happy to see the project successfully funded through a collaborative arrangement between two donors. The Swiss State Secretariat for the Economy (SECO) provided funding through the SAI Capacity Development Fund (SAI CDF) for SAI Gabon’s project, which was then implemented by the World Bank. A grant agreement for USD 350,000 was formally signed on 21 November 2014 and set to run for a period of three years. The project consisted of three components: Developing a new organic law with better financing for the SAI, carrying out three performance audits in highly relevant policy areas, and developing and implementing a new communication strategy. When developing and implementing projects with SAIs, the IDC actively encourages all donors to follow four key principles: first, that they make available additional funding for SAI capacity building; second, that they coordinate their funding and support to avoid duplication of activities and to find potential synergies; third, that the direction and priority of funding is led by the SAI itself; and fourth, that all donor activities are harmonized under the SAI’s own strategic plan. This materialized in shared SAI CDF and Gabonese funding for the audits of HIV and malaria prevention and social security. SAI staff and leadership were very actively involved in the project management and stepped up further than initially planned by doing a SAI PMF self-assessment, with facilitation by SAI France. The new organic law revised the management and organizational structure of the SAI, in order to make the organization more effective and capable in conducting performance audits. The organic law has now been approved by the legislature. With its audit work, SAI Gabon is ensuring that taxpayers’ money is spent efficiently to benefit citizens. SAI Gabon has conducted three performance audits recently on construction, healthcare, the national insurance scheme. The reports from these audits have all impacted national policies. An audit of road construction processes, jointly financed by donors and the government, showed heavily inflated charges by construction companies. This lead to renegotiation of the contracts and inspired government to introduce an overall improved methodology for infrastructure procurement. Ultimately, the SAI’s work was the starting point for increased cost efficiency. The Peformanceaudits covering HIV and malaria prevention policies, completed in April 2016, and the national social security scheme, completed in June 2017, both gave government and parliament a solid basis for strategic policy discussions. Based on these experience, SAI Gabon has also begun implementing additional Performance audits covering waste management and tax expenditures. In addition to its auditing workload, SAI Gabon is continuously reaching out to its various stakeholders and enjoys high standing in society. Workshops with key stakeholders help the SAI to better communicate its activities and spread the information and reports. Greater engagement with Parliamentarians helps the legislature to see the value of the SAI’s work. Because of its valuable audit work and its communication efforts, implemented through the new communication strategy, local parliamentarians now share a high level of understanding for the SAI’s work. The relevant and timely Performance audit topics also lead to increased media coverage of the SAI’s work. While implementing the projects funded through the SAI CDF programme, SAI Gabon has striven to be an inclusive and gender-balanced institution, with over 40 percent female staff. The institution’s commitment to equal opportunity was recently received international recognition when AFROSAI’s Women Leadership Academy rewarded the SAI’s gender strategy with a prize. In this way, SAI Gabon is leading by example in its country and the region. SAI Gabon enjoys the benefit of an active and committed leadership. All performance audits are steered from a special unit that is placed right under the first president of the SAI. The SAI very actively manages donor relations and makes the best out of the support it receives. Its project management capacity is exemplary. Strong leadership, cooperation and harmonized donor support are among the key factors that has strengthened the SAI role. SAI Gabon is another example of how the MoU Principles can lead to great success in SAI capacity development. With the new performance audit coordination unit becoming operational, SAI Gabon is better equipped than ever to carry out performance audits. Some challenges, however, still remain. While the new organic law has been successfully drafted and tabled, it has not yet passed the legislature. Additional auditors still need to be trained on performance audit methodology, and more performance audits need to be implemented. Thanks to a thorough and honest SAI PMF self-assessment SAI Gabon is well positioned to identify opportunities for improvement in the coming years. All the while, SAI Gabon is a leader in the region, contributing to capacity building of neighbouring SAIs. The INTOSAI-Donor Cooperation is a strategic partnership between donors and the Supreme Audit Institution (SAI) community. Purpose: to improve SAI performance in developing countries through scaled-up and more effective support. Guiding Principles: development of country-led strategic plans; donors respecting SAI country leadership; and improved coordination of support. (who comprise the INTOSAI-Donor Steering Committee) have signed the Memorandum of Understanding. For more information, visit our page on Who We Are.